Owners of smartphones may face such a problem as losing contacts. The reasons for this occurrence may be many. To insure, it is recommended to download the numbers from the phone to the computer. Of course, if you wish, you can manually rewrite all contacts into a notebook, but this is extremely inconvenient and time consuming. To date, there are several ways to copy the list of contacts. Users are advised to create a Google account immediately after purchasing a smartphone. This will further facilitate the work. After synchronization with the cloud service, the numbers automatically go to the Internet. Now it only remains to determine how to save contacts from the phone to the computer. You must go to the website "contacts.google.com" (using your registration data). In the window that opens, you need in the column on the left to click on the inscription: "More." When the list is opened, you will need to click on the link with the anchor “Export”. In case you need to export only specific numbers, for example, “colleagues” or “personal”, it is recommended to export the group. In the category "All contacts" may contain unnecessary information: email addresses and unnecessary numbers. It is best to export contacts in vCard format. This is due to the fact that this file is supported by a large number of programs. Therefore, in the future there will be no difficulties in their import. Of course, this does not mean that you can not save contacts with android in CSV format. It all depends on user preferences and import method. How to copy contacts from phone to computer without using auxiliary programs? This is recommended to learn to all owners of smartphones. First, the user is required to go to the list of subscribers. A similar section can be located in the main menu or on the main screen panel. Now you need to call the context menu. To do this, click on the button located in the lower left corner (on some phone models, the menu is called differently). In the menu that opens, you need to find the item "Import / Export". Then a submenu opens with options for moving contacts. It is recommended to select "Export to SD memory card". After that a window will appear with confirmation. In order for a copy to be downloaded to a mobile phone, you should click on the “Yes” button. To make sure that you manage to transfer contacts from your phone, you need to open the SD card. The media must contain a file with the extension CSV. If such a document exists, you must remove the SD card from the device. Now it only remains to move the file to the computer, having previously connected the storage medium. In the future, the copied list can be exported to a sim card or a new device. 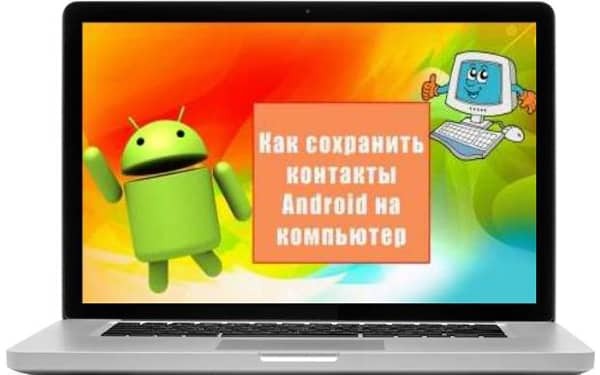 As can be seen from the description of the method, even an inexperienced user can copy contacts from android to computer. 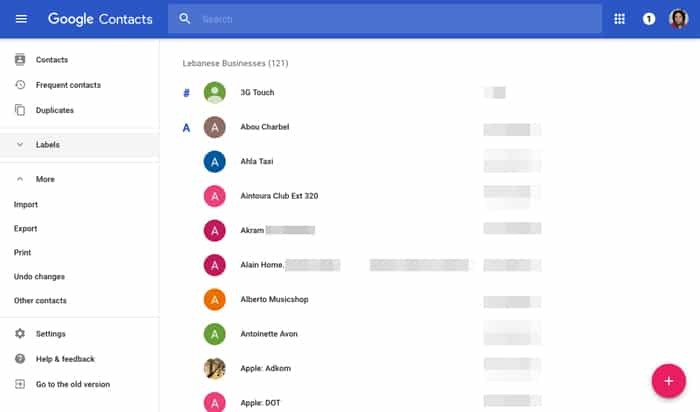 How to copy the phone book to your computer if you do not want to connect Google account and there is no SD card? 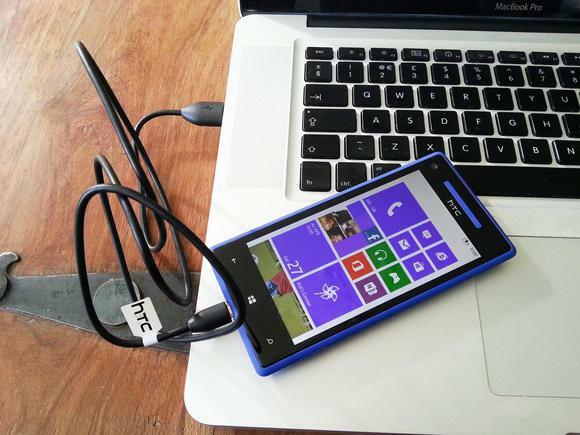 To do this, you can use a USB cable. First, it is recommended to install all the necessary drivers and additional software on the computer. They can be downloaded from the official website of the developer of the smartphone. In the next step, you need to synchronize both devices in order to further transfer contacts from the android to the computer. The connection will take no more than 2 minutes. The next step is to open Contacts in the smartphone. Now you need to find the subparagraph "Copy the phone book ...". After activating this item you will need to select a computer. After that, the copy process will start. If necessary, you can download only specific numbers. How to save contacts if there is no computer nearby? In fact, there is such a way. 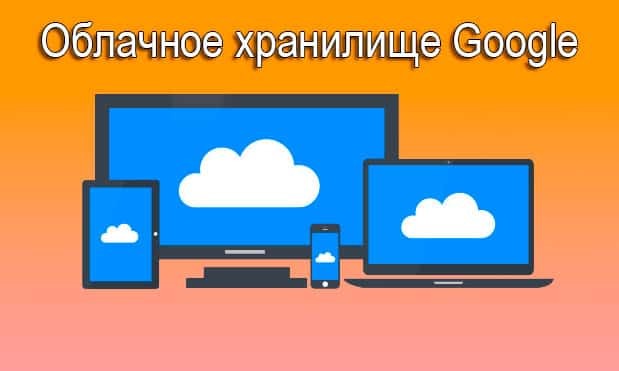 To do this, you will need to use the Google cloud storage. First of all, you need to enter your account credentials or register a new account. In the settings you need to go to the section "Accounts and sync" In the next step, select "Google". After a second, a window will open in which you want to check the box next to the "Contact Synchronization" field. Now it remains only to click on the icon "Update". It will only save the file on your computer. Having figured out how to copy numbers on a PC, users can periodically update the file. Due to this, the computer will always have a file with the updated database of numbers. Move the list of numbers to a computer. Since you can download not only numbers, but also confidential data you need to carefully read the reviews about the application. Otherwise, you can lose confidential information. 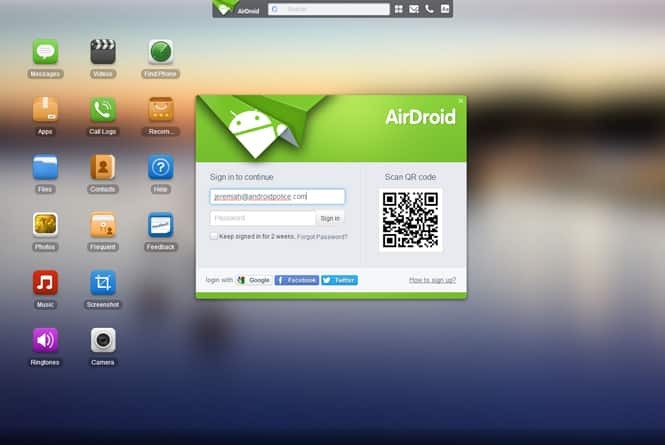 It is worth paying attention to such a wonderful program like AirDroid. This application allows you to drop any files on your computer, including the list of contacts. Any downloaded document can be edited by the user. Mobile phone developers also offer the use of specialized software, which can be downloaded from the official site. For each smartphone has its own program. As can be seen from the description, there are several ways by which you can export a list of contacts to a computer. If necessary, the downloaded file can be sent to any phone. It is best to use cloud storages, as they allow you not only to transfer contacts, but also to restore them in case of a mobile device breakdown.